The Sun begins its annual visit with the stars of equilibrium at the Autumnal Equinox. We’re thus invited to strive for balance in our lives. The indigo blue mantel of the constellation of Libra protects us so we’re safe to ponder our strengths and weaknesses. Saturn, the being of deep contemplation, is also indigo blue. Together, they reveal the structure of who we are as human beings. The unique architecture of human bones reflects the dual aspect of our essence: the limbs in pairs, the Spirit and the matter. 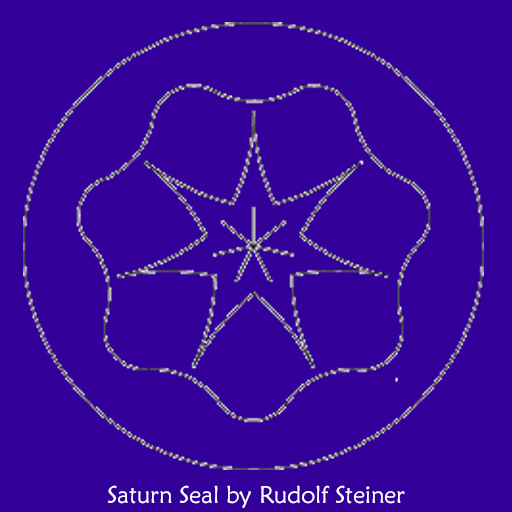 Saturn assists us in finding the center in our hearts in two ways: with its slow moving gesture of navel gazing, and with the sound and parallel gesture of the vowel U (“oo”). The spiritual beings of the Balance offer humanity the gift of the sound TS (as in “tsar”), which vibrates through the first month of Autumn (September 22 through October 22). 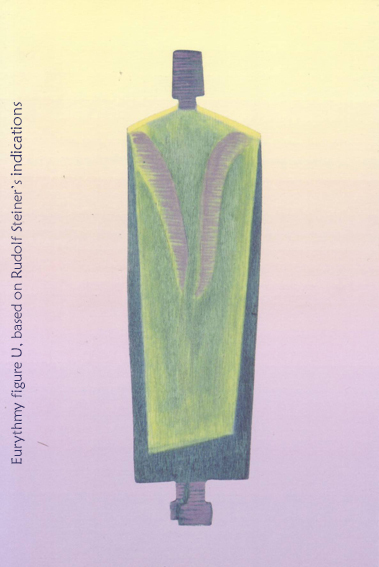 Rudolf Steiner didn’t give any indication about the color or image for this consonant. I see it as a rainbow of all day and night colors. In the eurythmy gesture for TS, we first bend our knees low, as if ready to lift something big and heavy with our arms. But when the hands touch the burden, it transforms into a light bubble, and our arms ascend in lovely horizontal ripples upwards. In life, we often dread to tackle a task that appears daunting and difficult. Yet, when we get down and ready to do the labor, we realize that the work required is far less demanding and much more enjoyable than anticipated. But we have to overcome the fear before we can begin. Slovene folk wisdom teaches: “Fear is hollow inside, and empty outside.” Indeed, fear is but an empty bottomless barrel that contains nothing. It’s a void to be filled with Light. An opportunity to create the rainbow. The Archangel Michael helps us in the process of ascension: overcoming the fear, bending low in humility to do the work, and then being uplifted through our creativity. 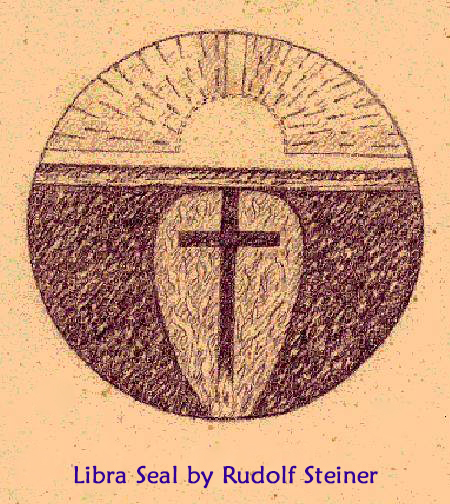 As we stand upright in our own column of Light, the eurythmy gesture for Libra touches on the richness of life experiences horizontally with straight arms. The right arm covers the left, palms facing down, in front of the chest. Our heart thus becomes the center of the human six-dimensional cross: down and up, left and right, back and front. 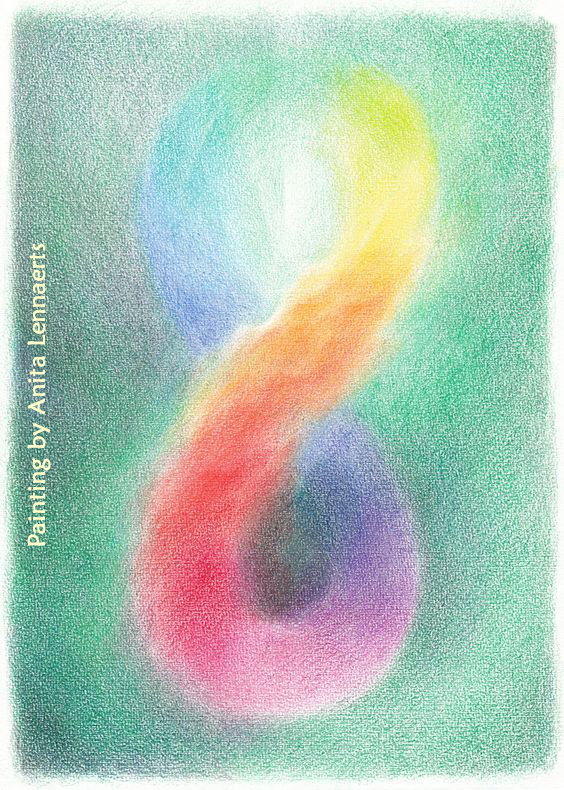 The ascending gesture of the rainbow sound TS, and the Libran gesture of centering at the heart, create the equilibrium in our gestalt so we can spread the vibration of Love across the globe and among each other. And then the Sun moves on to spend time with the stars of Scorpio between October 22 and November 21. The Scorpion, clad in deep purple, with the left arm pointing downwards, is guiding us into the underground caverns of the yet unconscious wealth of our being. We’re drawn to explore the complex labyrinths of existence. Yes, we get lost at times. Yes, it can be painful. But as we’re finding our way through, the Light appears at the horizon. 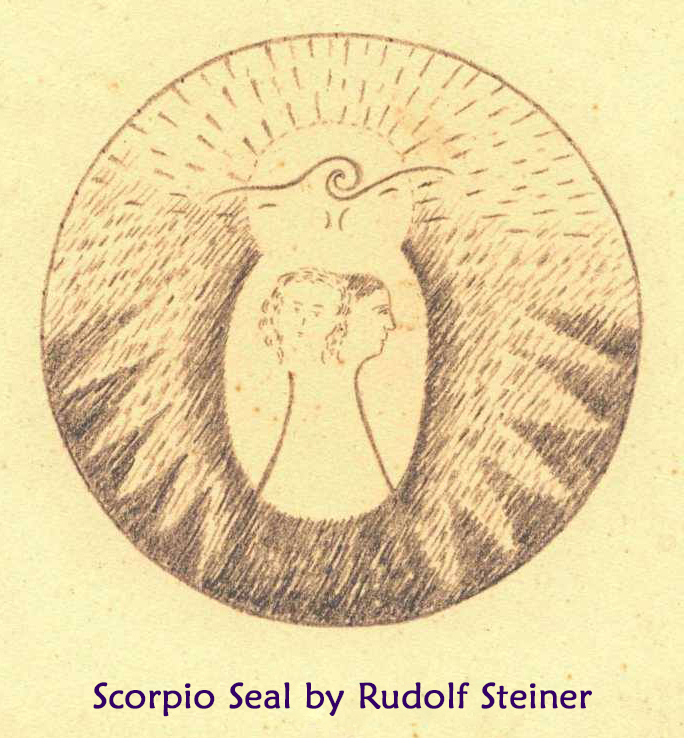 The constellation of Scorpio is also the spiritual being of the Eagle. As we go through the overview of the depths and heights, we gather the wisdom of the ages. The Scorpion offers the sound S to help us. 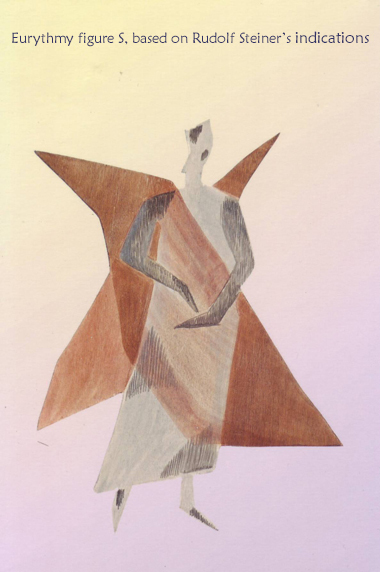 We’re invited to become the sorcerers of Light, wielding the wand in the shape of S up and down, left and right, in the sweeping eurythmy gesture with both arms. A vertical sign of infinity emerges. We gain the strength and knowledge to blend the matter and the Spirit, to weave the rainbow of human diversity. With compassion. We learn how to understand and forgive. The biochemical processes, bound by the laws of Newtonian physics, are ongoing, and so is the alchemical magick of quantum realities, for which Einstein gave the key. The transformation of the lead of fear into the golden Love happens at every moment of earthly lives. If we have the courage to follow the path of Light. The choice is yours, and yours alone. Dare to go deeper, contemplate your purpose in life, take charge of your destiny. Process your past experiences and create a vision for your future while standing peacefully in the present. Find the balance in the depths of your heart.